Los Angeles, CA, May 31, 2011: Ross Jordan was excited and honored to hear the film would be opening the Belize International Film Festival. Belizean Music and culture are intimate companions of filmmaker Ross Jordan. Jordan is known throughout the Belizean community for his exciting video production and editing of live Belizean Performances. Jordan’s work has showcased live multi camera angles on over thirty DVD such as “ILAGULEI” Grand Opening filmed in Dangriga, Best of the Best Punta Fest in Los Angeles, Mothers Day Concerts in Brooklyn New York, Punta Rock Extravaganzas Belize Day Weekend in Chicago Illinois, The Punta fest in Las Vegas, September Celebrations at the Hollywood Park Casino and more. 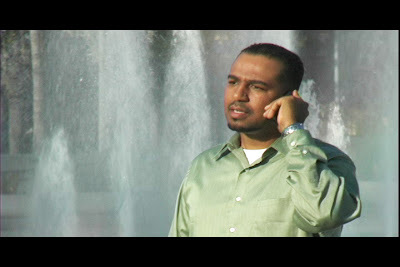 Jordan is considered an honorary Belizean and his production company GOASTAFA Prod/ EDITyourVIDEO.com was named the number one video production crew in the US for Belizeans by Da-Network Magazine and many Belizean promoters. 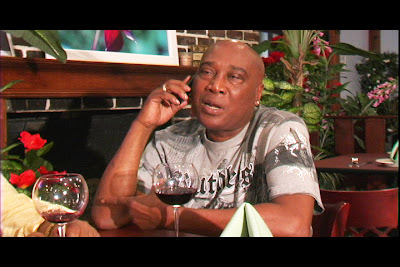 When in Belize Jordan spends most of his time in Dangriga with extended family and Co-Producer of the film Road 2 Damascus Michael Apolonio better known as King Tobby owner of Ilagulei Sports Bar. The film brings original gospel music from Los Angeles and various Caribbean artist such as “Aziatic” native of Hopkins, Super P” native of Trinidad “Supa G” resident of Dangriga “Bert Mc Coy” native of Belize City “Lova Boy” native of Dangriga, “Garif” native of “Dangriga, and a closing song by “Mohobub” also a native of Dangriga. This story of pathways and processes that lead Paul (Sid Burston, from the new TV SeriesGet Thee Behind Me), the leader of the retro-style singing group, The Tear Drops, to re-enter a life of self-destruction after having served as the Pastor of a small church in the fictional city of Damascus, California. In Road 2 Damascus, a new film that will open the Belize International Film Festival, Filmmakers Ross Jordan and Sid Burston captured some flavor of America, Belize and Nigeria in a California backdrop as they tell the tragic and exciting tale of love gone wrong and faith left behind in the wind of ambition and lust. 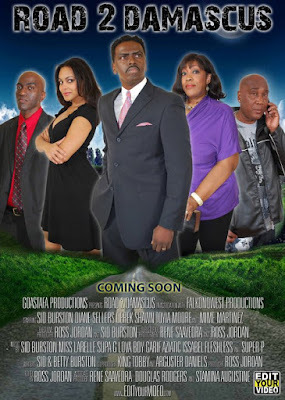 The film guest stars famed Belizean/Musician “Mime Martinez” as a loan shark and noted Nigerian actor, “Nsa Nsa” as Paul’s father, “Diane Sellers” (from Rules of Engagement), as Paul’s psychologist wife, Toyia Moore (from the television series, Get Thee Behind Me and a former runner-up for Ms. New Jersey) as Paul’s mistress, and Derrick Shawn (from the off-Broadway play Angels Over Tuskegeeand the series, Get Thee Behind Me) as Paul’s nemesis,. Road 2 Damascus is scheduled to air on Punch Television Network in 2011. For further information, visit Road2Damascus.info or contact Ross Jordan at 213.364-8505.